37" and 44" Post Sleeve Kits include Post Caps and Base Mouldings. They are only needed on the longer 100" or 108" post sleeves. All Rail Kits come with Bracket Packs. Extra packs are only needed if you are cutting a 6' or 8' kit down into 2 smaller kits. 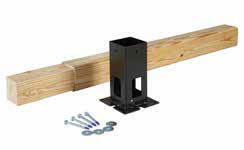 There are no 45 or 22 1/2 degree FiberRail Bracket Kits. Installation Instructions show how to attach rails on these types of installation. Includes Post Base, 4x4 Insert and Mounting Hardware. For situations where nothing should come between you and your view. 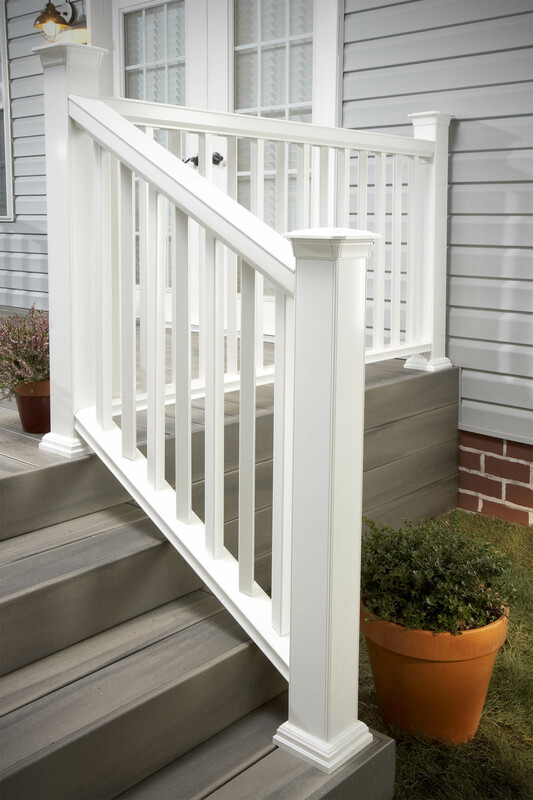 Fiberon's ClearVision System® replaces traditional balusters with a durable, tough acrylic shield for a clear, uninterrupted finish. It's all about the view. The ClearVision System lets you see an unobstructed view of your backyard vista. Surround your deck without blocking the view. 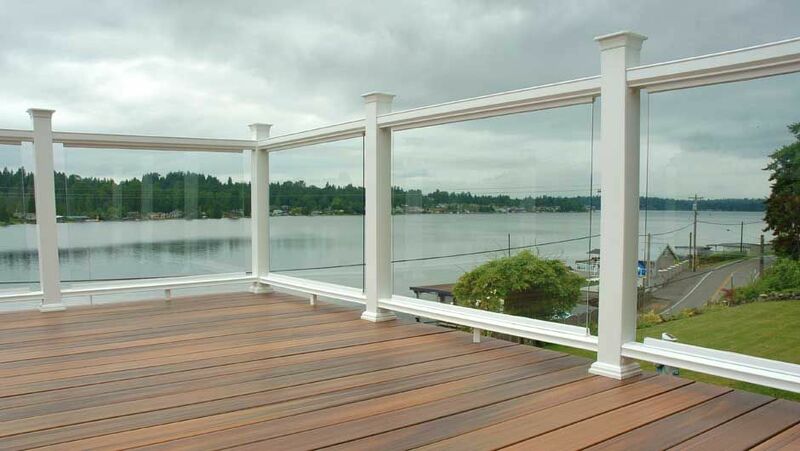 The Fiberon ClearVision System replaces traditional balusters with a durable, tough acrylic shield for a clear, uninterrupted view. Elegant in design, the ClearVision System from Fiberon offers invisible protection while blending seamlessly with your home's architectural elements. Better yet, you can mix and match the ClearVision System with any of the Horizon Railing profiles for just the right design for your special place. ClearVision System is backed by a 20-year limited warranty. Kits available in 6-foot sections only. Finished railing height of 36-inches. ClearVision System acrylic panels are approved only for use below 30” deck heights.